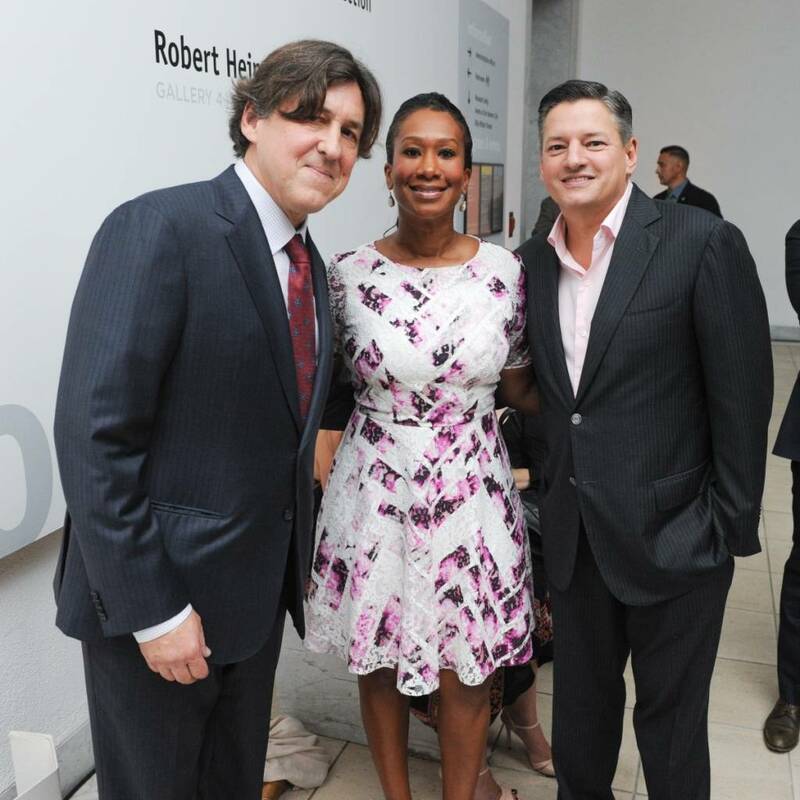 Artists, philanthropists, gallerists, collectors, and entertainment world notables gathered at the Hammer Museum’s Gala in the Garden party on Saturday for the ultimate celebration of art. 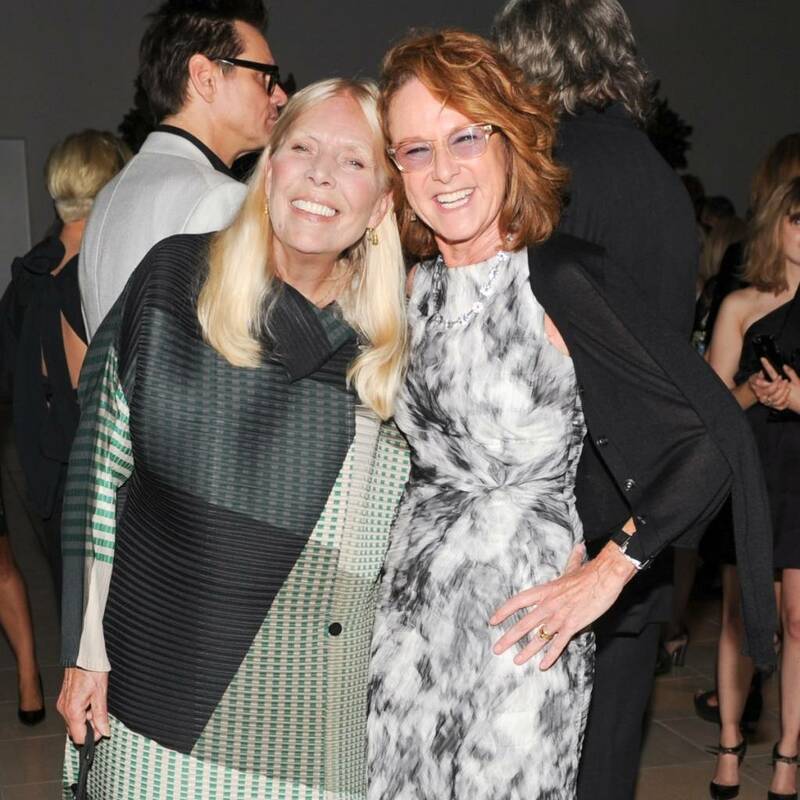 The star-studded, Bottega Veneta-presented fete honored both artist Mark Bradford and musician Joni Mitchell and included tributes from Sarah Lewis and Cameron Crowe as well as a performance by Sia. The 12th annual gala, which raised a record-setting $2.5 million for the Hammer’s renowned exhibitions and free public programs, was held in the Museum’s outdoor courtyard and designed with an understated elegance thanks to custom ebony wood wide-plank tables, arrangements of hydrangeas, and hundreds of hand-poured white candles in glass hurricanes. Artist Refik Anadol designed an immersive digital installation in the Hammer Courtyard, projecting dynamic light sequences on every surface including the building and trees. Danna and Ed Ruscha and actors Emily Blunt and John Krasinski served as co-chairs alongside Bottega Veneta Creative Director Tomas Maier; attendees included Hammer Museum Director Ann Philbin, Bottega Veneta President & CEO Marco Bizzarri, John Baldessari, Doug Aitken, Catherine Opie, Michael Lynton, Ted Sarandos, Nicole Avant, Paul Schimmel, Lauren Taschen, Philippe Vergne, Jack Black, Orlando Bloom, Viveca and Will Ferrell, Mayor Eric Garcetti, Elizabeth Banks, Kate Bosworth, Rashida Jones, January Jones, Zoe Saldana, Sam and Aaron Taylor Johnson, Matt Groening, January Jones, Jarl and Pamela Mohn, Demi Moore, Susan and Leonard Nimoy, Julia Roberts, Kara Walker, Mary Weatherford and Rita Wilson. The party began as guests mingled over cocktails and hors d’oeuvres while also exploring the Hammer’s exhibitions including Jim Hodges: Give More Than You Take; Robert Heinecken: Object Matter; and Mandala of Compassion. Once seated for dinner, guests were welcomed by the museum’s Board Chair Marcy Carsey who thanked the Hammer staff and gala co-chairs for another spectacular event and introduced Mayor Eric Garcetti. The Mayor praised the Hammer’s contribution to Los Angeles’ creative culture, highlighting Made in L.A. and Arts ReSTORE LA as examples of the spirit of collaboration that characterizes the city. Ann Philbin then began the evening’s presentations by acknowledging and thanking Bottega Veneta for their continued generous support of the Gala and announced this year’s event had raised a record-breaking $2.5 million. Philbin also shared that the museum had seen a 25% increase in visitors since introducing free admission in February. Guests then enjoyed a menu prepared by master chef Suzanne Goin of Lucques including a salad of market greens with heirloom tomatoes, toasted pumpkin seeds, buttermilk-basil dressing, fried pita and queso fresco, and entree of chicken paillard with last-of-the-season squash tian gremolata and mustard breadcrumbs and a ricotta cheesecake with Laura Chenel’s Chevre, red wine-poached figs, grapes and walnuts and a flourless chocolate cake with Earl Grey caramel and date-hazelnut compote. Wines included a 2012 Fevre Chablis Champs Royaux and a 2010 Chateau La Violette du Manoir. 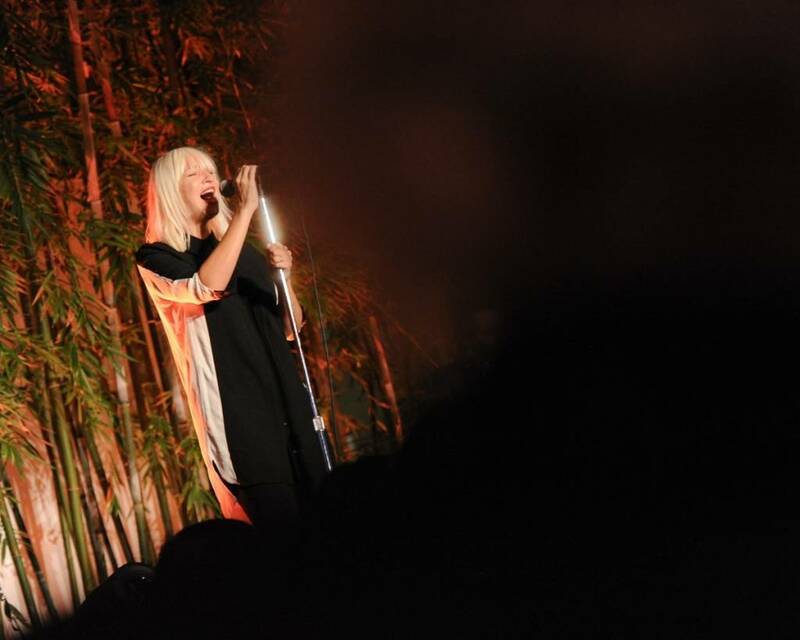 International artist Sia capped the haute, art-filled evening with a three-song performance.